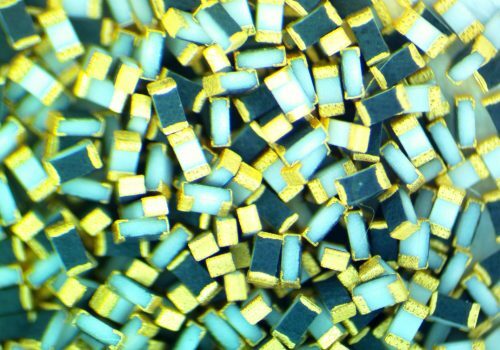 AAC has expanded its Termination Gold Plate Service to surface mount components Include Capacitor, Resistor, Inductor and Ferrite Bead size from 01005 and larger with short lead-time. RoHS has required of pure tin-plated terminations. It may allow tin whiskers to grow from surfaces and cause electrical short-circuits and failures. To help eliminate this problem of tin ‘whiskering’ AAC has developed a gold plated termination for conductive epoxy. Termination consists of 7.87 micro-inch minimum gold flash over a nickel barrier.